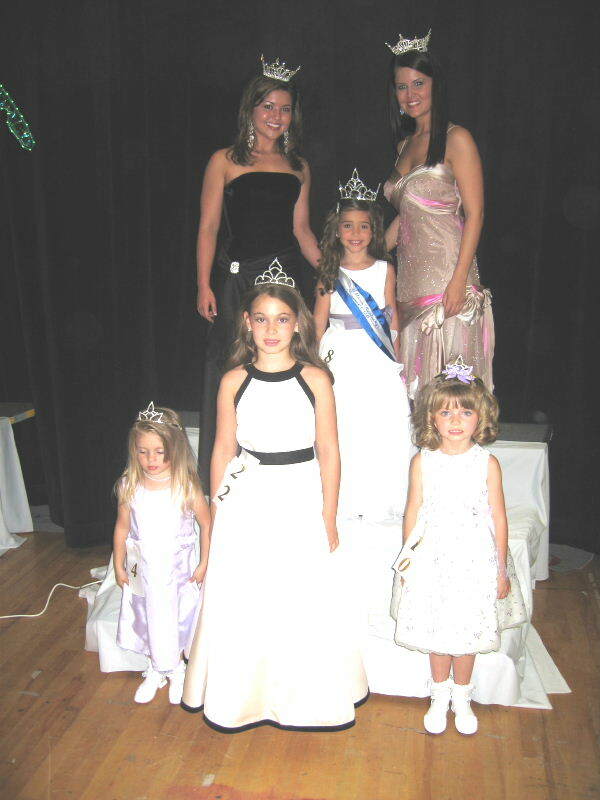 Below are various photos from the 2006 Little Miss Kentucky Pageant crowning ceremonies. Standing in the back row for each photo are Miss Kentucky's Outstanding Teen 2006, Alison Lovely, and Miss Kentucky 2005, Kerri Mitchell. Pictured above are Little Miss Kentucky 2006, Presley Morgan, Little Miss Kentucky 2005, Caitlyn Walters, and Pre-Teen Miss Kentucky 2006, Erynn Landherr. PIctured above are Shayla Price, Overall Photogenic Winner in the Little Miss Division, Little Miss Kentucky 2006, Presley Morgan, Pre-Teen Miss Kentucky 2006, Erynn Landherr and Overall Photogenic Winner in the Pre-Teen Miss division, Chancey Gee. 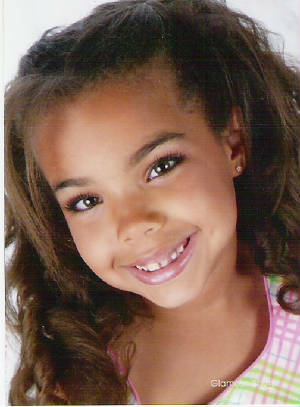 The winning photo of Shayla Price, overall photogenic winner in the Little Miss division. Pictured above are Little Miss Division winners (l to r front row): Savannah Ratliff, Wee Miss Kentucky; Sarah-Jo Diamond, Mini Miss Kentucky; Chloe Royster, Tiny Miss Kentucky. Pictured above front row (l to r) are Junior Miss Kentucky, Kelsey DeBord; Pre-Teen Miss Kentucky, Erynn Landherr; Overall Pre-Teen Photogenic Winner, Chelsey Gee; Petite Miss Kentucky, Bailey Brown.